(Natural News) Japan is home to almost one million wild boars. These animals are known to gorge themselves on rice, chestnuts, and potatoes, which has brought them into conflict with farmers. But they can only do so much to protect their crops and themselves from the near-fearless beasts. Fortunately, help is on the way, and it comes in the form of the world’s most intimidating scarecrow. The “Super Monster Wolf” is exactly what it sounds like: A 25-inch-long and 20-inch-tall animatronic wolf garbed in realistic fur and wearing a permanent snarl. Equipped with an infrared sensor, the Super Monster Wolf is capable of detecting wild boars from a sizable distance. When that happens, the large, red eyes flare to life and it begins to produce any of its terrifying sounds to scare off animals. According to its manufacturers, Ohta Seiko Co., Ltd., the Super Robot Wolf can emit a wide range of different noise (including human screams and even a gunshot) to ensure that wild boars don’t become acclimated to the racket. Another noteworthy feature is that the wolf runs on solar-rechargeable batteries. Trial runs in Kisarazu, a city in Chiba Prefecture, have shown the Super Monster Wolf to be an effective boar deterrent. Farmers in the area had accepted that wild boars would uproot a good portion of their crops every year. But, as per the agricultural cooperative that carried out said trials, that changed once they introduced the Super Monster Wolf into their farmlands. Crop losses have significantly dipped since then; so much so that the company behind the wolf plans on mass producing it by April. Anybody who wants a Super Monster Wolf of their own should be willing to shell out a hefty 514,000 yen, or 4,840 U.S. dollars. Farmers unable to afford a unit can opt for a much cheaper monthly lease. Numerous factors are believed to have contributed to the proliferation of wild boars across the Japanese archipelago. The decreasing snowfall of recent years has made it easier for the animals to make it through winter and enter regions that were once inaccessible to them. 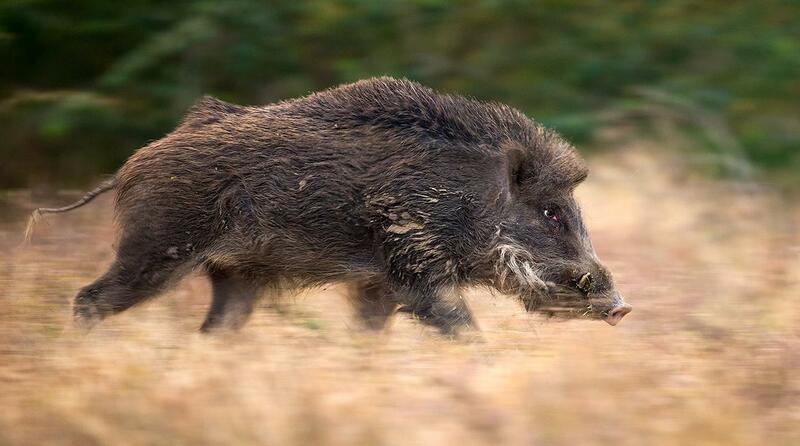 Population decline is of no help either: The areas frequented by wild boars tend to be inhabited by older people, as the younger set has mostly moved to the cities. If you’d like to read up on more news about machines being used to help people, simply go to Robotics.news today.